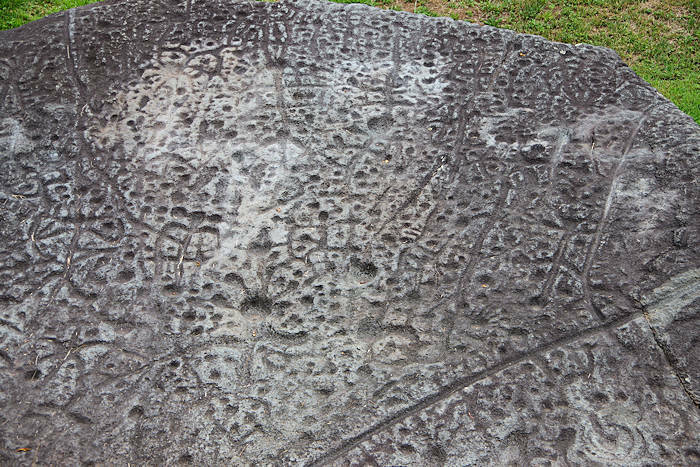 Did you know we have petroglyphs in the North Carolina mountains? 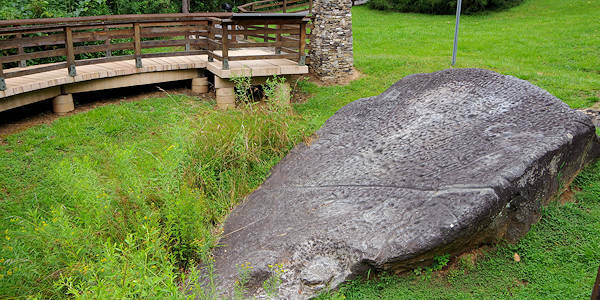 Judaculla Rock in Jackson County (near Sylva and Western Carolina University) is a sandstone boulder with some 1,500 designs carved into it by the Cherokee. It's about 30 miles from the Qualla Boundary, home to today's Eastern Band of Cherokee Indians. 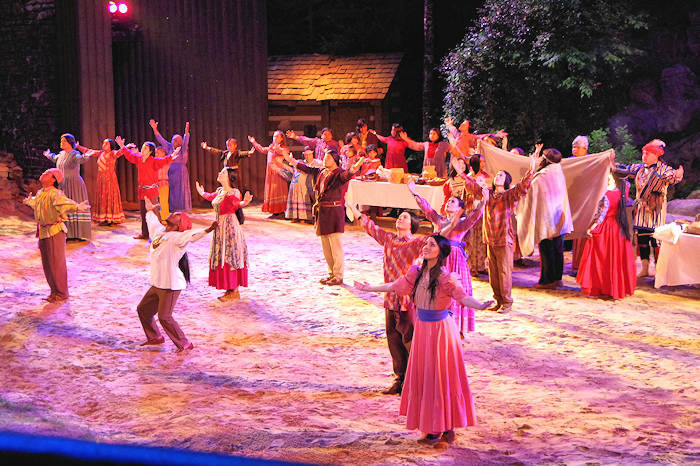 Nearby Cullowhee was a Cherokee town. The rock may have served as a boundary marker for Cherokee hunting grounds, which were guarded by the legendary giant and master of animals, Judaculla. Petroglyphs symbolize important places, stories or events. According to legend, Judaculla was a slant-eyed giant that lived high in the Balsam Mountains. He guarded his hunting grounds from his Judgement Seat, known today as Devil's Courthouse along the Blue Ridge Parkway. Look for his handprint on the lower right of the rock (pic above). Over seven feet tall, the giant had seven fingers on each hand and seven fingers on each foot. There are many legends and ghost stories related to this location. 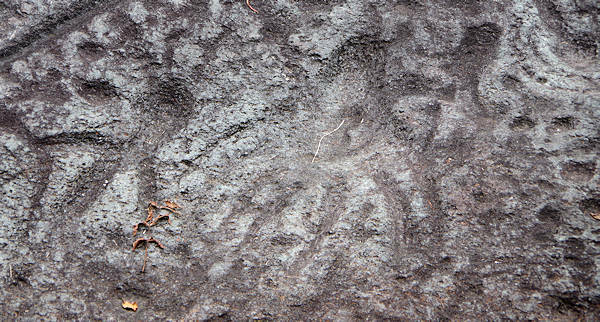 While the Cherokee lived in this area as long as 3,000 years ago, the oldest petroglyphs here are 1,500 years old while the newest are around 300 years old. Cherokee left this area when European settlers started moving in. Today, the rock is listed on the National Register of Historic Places and is owned by Jackson County for a public park. 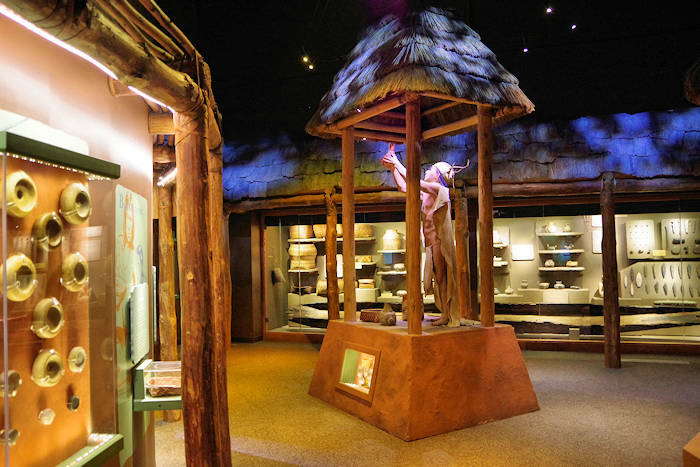 It's open every day during daylight hours with no admission charge. A boardwalk has been built around the boulder to protect the petroglyphs, which are eroding over time. Please keep off the rock! It's 58 miles from Asheville and 41 miles from Cherokee. 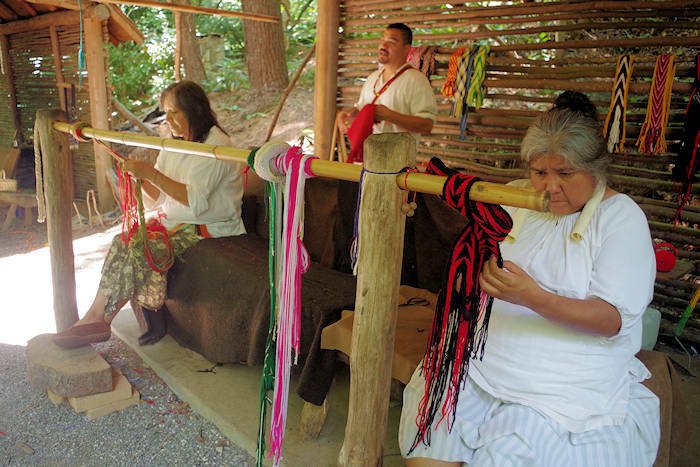 To learn more about the Cherokee, go to the Oconaluftee Indian Village and the Museum of the Cherokee. Driving Directions: Street address is 552 Judaculla Rock Rd., Cullowhee, NC. From Sylva, drive south 9.5 miles on NC 107 past Western Carolina University. Turn left onto Caney Fork Road and drive about 2.5 miles. Turn left on Judaculla Rock Road for a half mile. At the end of Judaculla Rock Road, you will see a small parking area on the left with the park on the right.